CARBONDALE, Ill. — Though Aug. 21, 2017, seems like a long way off, it’s not too early to begin making plans to be at the Eclipse Crossroads of America. That is the date when the first total solar eclipse over the mainland United States since 1979 will sweep across the country from northwest to southeast. The last time that happened was in 1918. 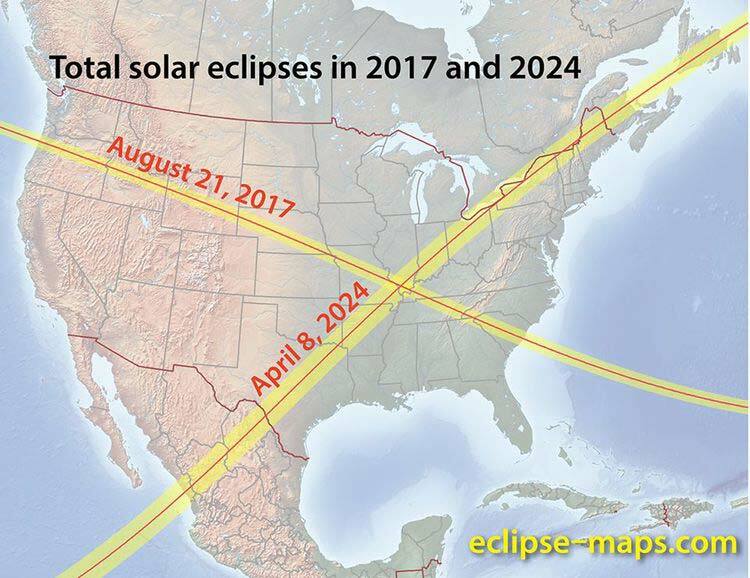 Then, on April 8, 2024, a total solar eclipse will again sweep across the country, this time from southwest to northeast. The intersection of the two eclipse paths is just south of Carbondale over Cedar Lake. No other place in the world will offer the opportunity to observe these two eclipses from the same ground-based spot. And in 2017, Carbondale is the closest city and Southern Illinois University Carbondale is the closest campus to the point of the eclipse’s greatest duration. The eclipse will begin at 11:53 a.m. and all phases will be complete by 2:47 p.m. Total eclipse duration time – which scientists refer to as “totality” — on the campus will be 2 minutes, 38 seconds, 2 seconds short of the greatest duration time a few miles south of Carbondale. More information is available on the Eclipse Southern Illinois website (eclipse.siu.edu). A university-community steering committee is planning a variety of events leading up to the eclipse, which will occur on the first day of the fall semester. The prime viewing location will be Saluki Stadium, while the SIU Arena will provide an air-conditioned venue for those who want to see the eclipse via webcast or other feeds, but avoid the August heat. Other spots on and off campus will be available to the many scientists expected to converge on the area, along with “eclipse chasers” who often travel worldwide to view or document the event. Bob Baer, a staff member in SIU’s physics department and co-chair of the steering committee, expects thousands of people to descend on Carbondale for the eclipse. On March 31, SIU will host one of the nation’s leading astronomers, Matthew Penn, from the National Solar Observatory in Tucson, Ariz. He will discuss upcoming solar coronal research as well as the Citizen CATE (Continental America Telescopic Eclipse) Experiment planned for the 2017 eclipse. The experiment will use a fleet of telescopes to observe the eclipse. As the shadow of the moon travels across the continental United States, citizen astronomers from more than 60 sites will take images of the brightness of the inner solar corona. The combined Citizen CATE Experiment will reveal for the first time how this part of the solar atmosphere changes during 90 minutes. Penn has been with the National Solar Observatory since 2001. He earned a bachelor’s degree in astronomy from the California Institute of Technology in 1986, and his master’s degree and doctorate in astronomy, both from the University of Hawaii, in 1988 and 1992, respectively. His talk begins at 3:30 p.m. in Lawson Hall 161, and is free and open to the public. Future eclipse-related events will include educational programs and lectures and workshops for high school and community college faculty. 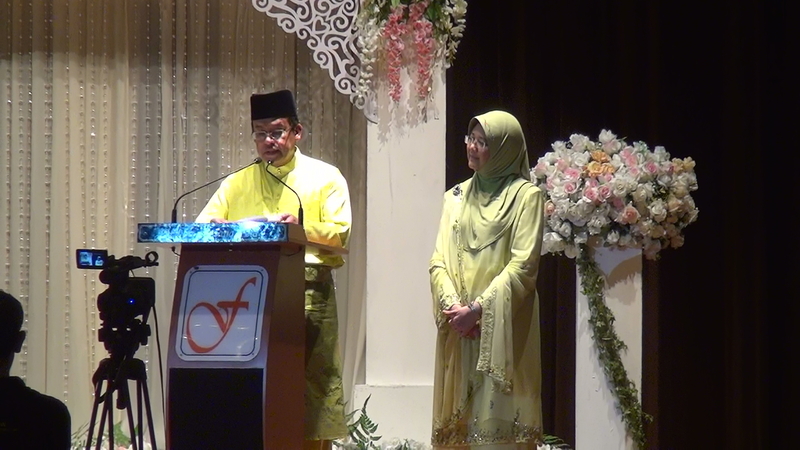 Last Labor Day was another mini-gathering for many of us who attended Hussin Mohd Ali and Noraini Ahmad’s daughter, Sakina, wedding reception at Felda Perdana. 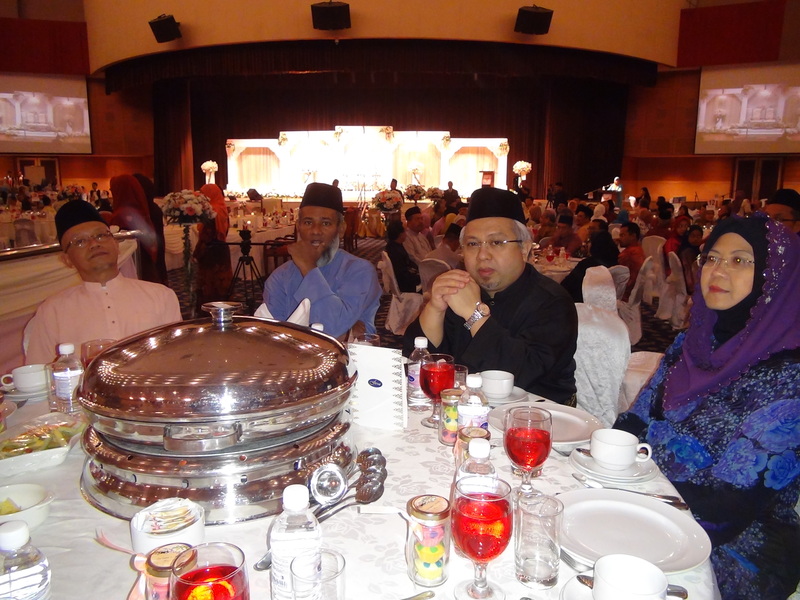 The last similar reception was for their son, Lokman (read). The time was too short for a real gathering (as we all have to rush for our Zohor) and during such a formal function we could not catch up much. But I managed to take some photos to be shared with others. 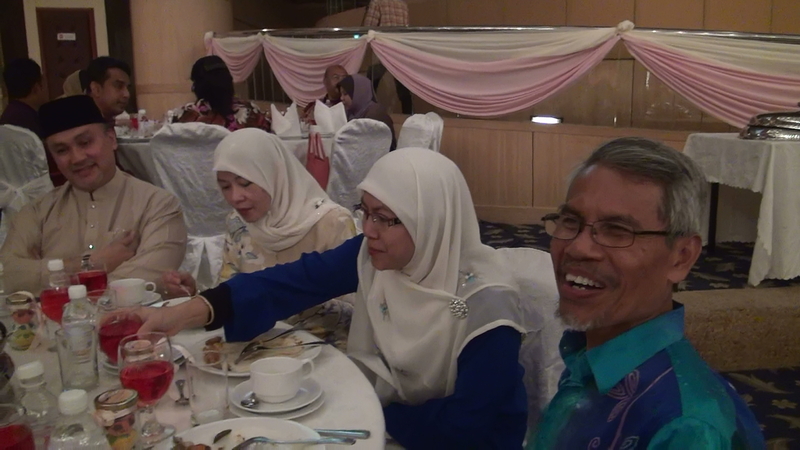 Sharing the same table with me was Moslim Jaafar, my former housemate in The Pyramids. Also sharing the same table, but I have to apologise, I forgot to note down their names during the brief intro as we get seated. Maybe I can get some help from the readers. The two other tables next. 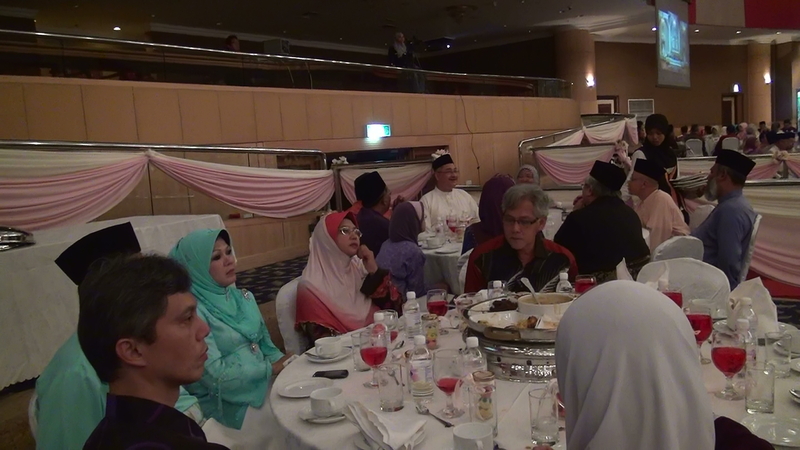 Most front is Zaid Shaaya Bashir, Zayadi (hidden by Zaid), his wife, Shah and his wife. 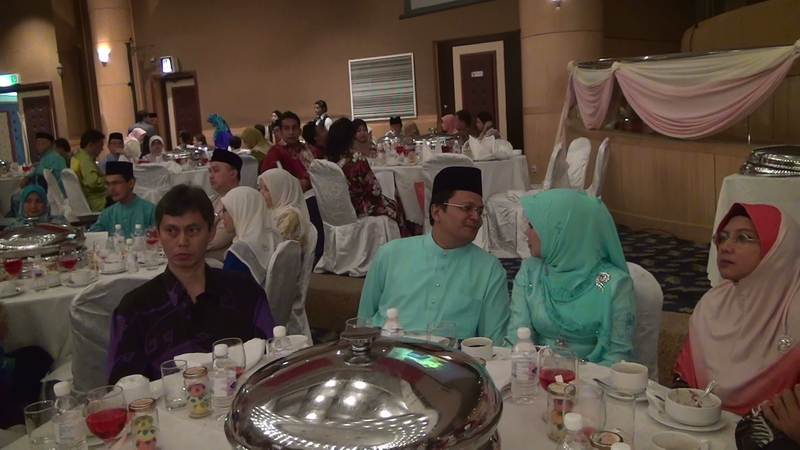 The far end table face visible, from most left (anti-clockwise) is Hazimi Batir Ali, Reza Zek, Saupi and wife. 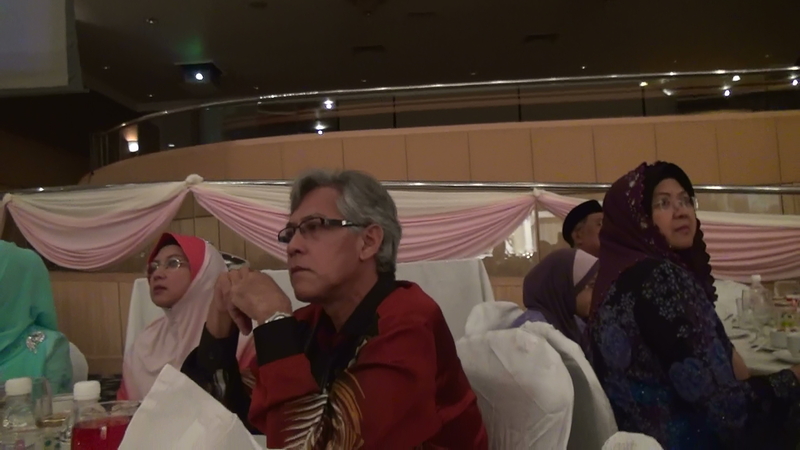 From left: Ahmad Zamri Said, Abdul Mukhsin Ahmad Tajuddin, Mohd Saupi Pauzi and his wife. 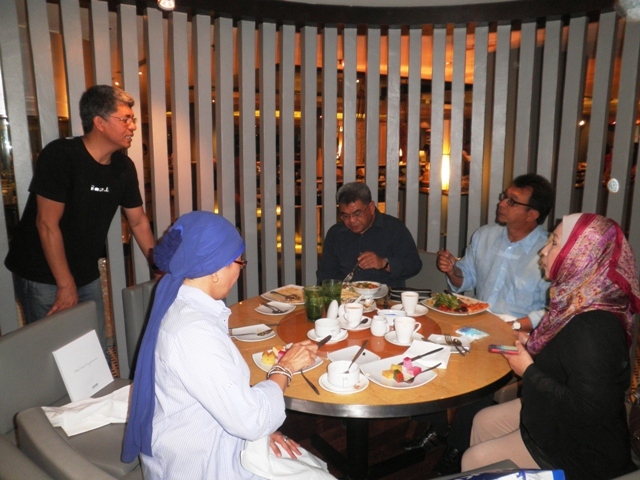 From left: Zaid, Zayadi and his wife and Shah’s wife. 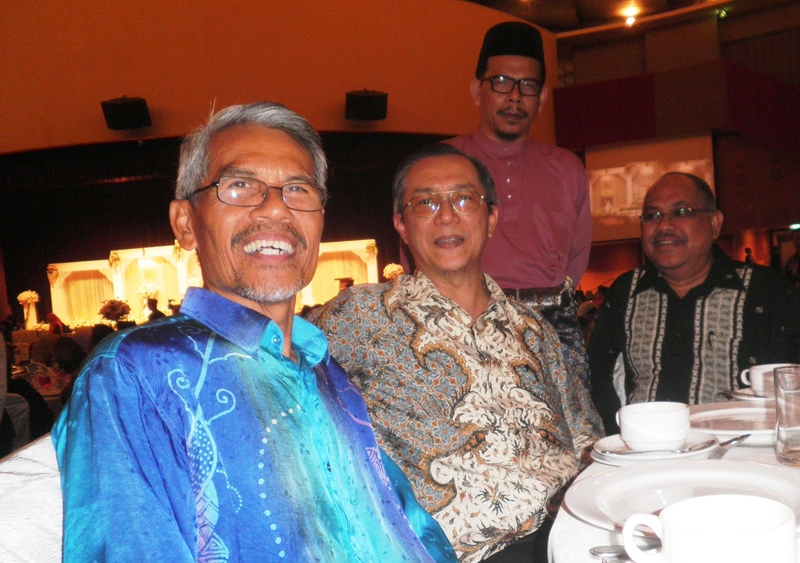 I finally managed to get help for my own photo to be in with Mukhsin and Saufi. One last pose as the function ended. 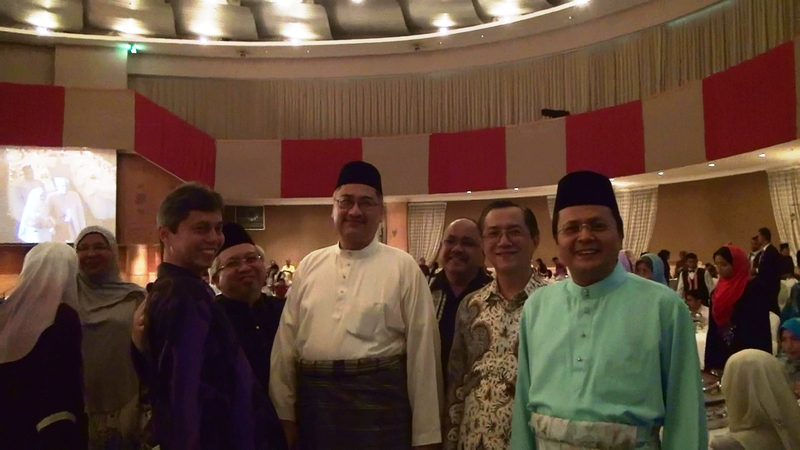 From right – Zayadi, myself, Zambri Saupi, Rosli Ibrahim and Zaid. 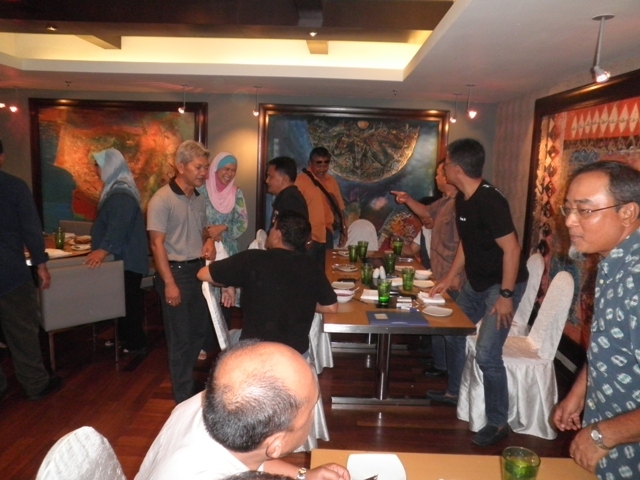 It is unfortunate that I was not able to take the photos of Abdul Rahim Ahmad, busy playing the host supporting role. Rahim as many would have know is the younger brother of Noraini. 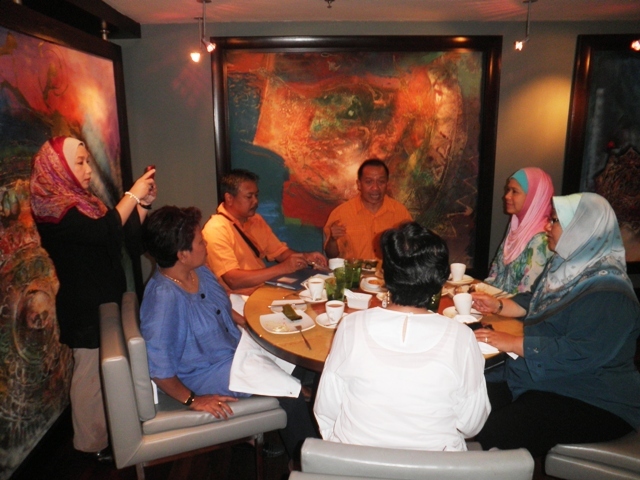 A small New Year gathering of Southern Illinois University at Carbondale (SIUC) alumni was held today at Paya Serai PJ Hilton. 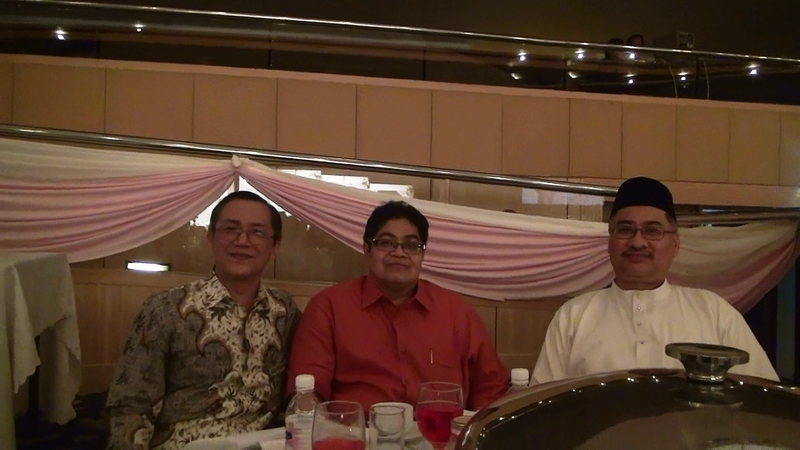 A special thanks to the organisers Ramli Ashari, Raja Fatimah and Mohamed Fadzil Mohamed Arifin. We thank all parties showing interest and support to this event. Further, we appreciate assistance from fellow Salukis in organizing this special occasion especially on finance. For those Salukis confirming to attend kindly deposit RM70 (valid at time of publish, but may be adjusted) to Raja Fatimah Zuhrah MAYBANK A/C 1643 4221 3422 on or before August 26th 2011. Having credited the amount please sms your personal detail to Raja Fatimah Zuhrah 019 259 3861 or Mohamed Fadzil Ariffin 012 200 4985. We welcome and appreciate contribution from fellow Salukis to part sponsor the event. Please do not hesitate to call us. Please help us make this event a success. Thank you very much SALUKIS. I just got a word from our Malaysian SIUC alumni now working at SIUC as Student Recruiter, Southeast Asia, International Program and Services, International Student and Scholars, Mr. Aaron J. Victor that we will be organising a gathering of all SIUC alumni in Kuala Lumpur. Guest/s: We shall be having some SIUC administrators coming down. PLEASE spread the words. Keep checking this site for further updates. Please click here to register yourself to our alumni database. 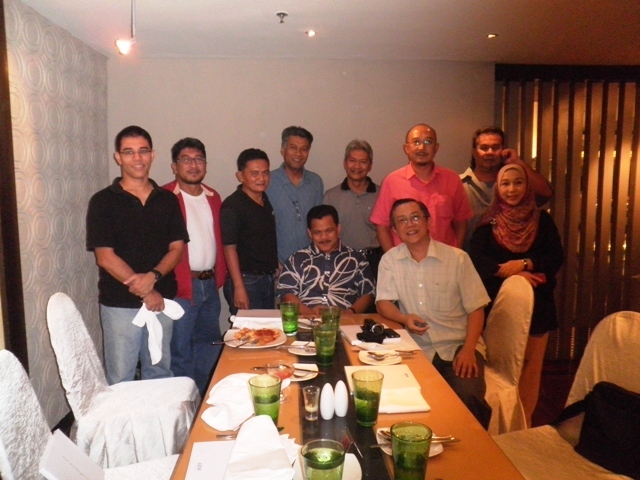 We are in the process of setting up an Alumni Chapter in Peninsula Malaysia and Sabah. Please e-mail your name and contact information so we can be in touch with you on the progress of the Association. There have been students in Southern Illinois University as far as 1972 and we will continue to be an integral part in SIUC. Why should you be part of the Malaysian Student Association (MSA) in SIUC? The organization is one of the most active student organization in campus. We have many events in and out of campus. For new students, we are your family away from home and we help you settle down here in Carbondale. The MSA is made up of students who strive for success and dedicated in promoting the Malaysian culture. The Malaysians here in Carbondale Illinois are one big family here in SIUC. 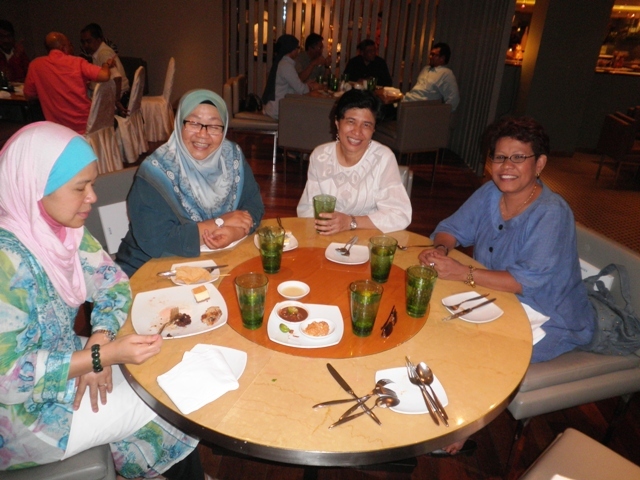 We help new students settle in to their new home away from Malaysia. There are many things which need to be done when one person arrives from Malaysia. Some of our members have cars to help new members get around and we have a wealth of knowledge as some of our members have been here for a long time. 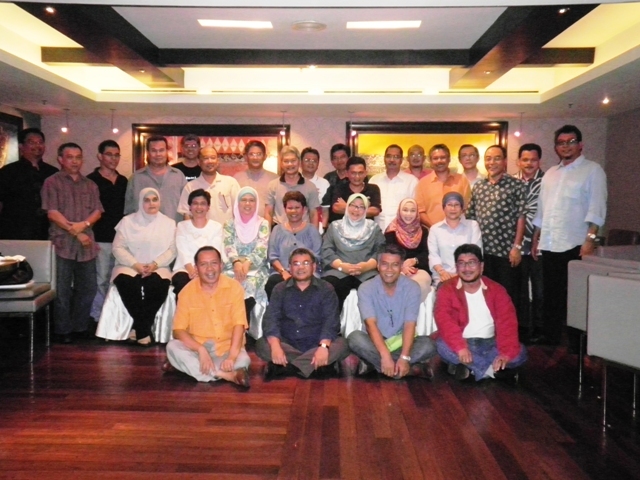 Secondly, we also have members from other countries in Southeast Asia. We have members from the Philippines, Laos, Indonesia and many more. We have a very good social network with other people around the world from Japan, Africa and Middle East. 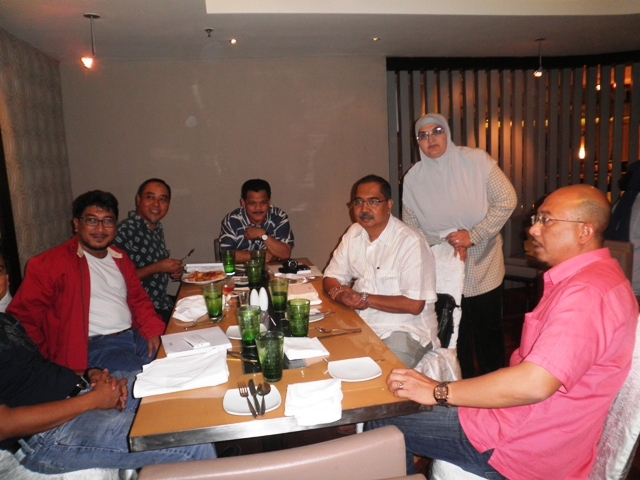 We regularly have gatherings and also host important festive events such as Eid Mubarak.